Home / Blog / Unusual Gates Galore! Every month we get asked to make a variety of different and unusual gates in various styles and sizes; and this month has been no exception. Quite often the gates are for a “difficult gap” which is hard to fit and will certainly not take a standard gate. This month we made our smallest bent heel gate ever! Just over 2’6″ wide. 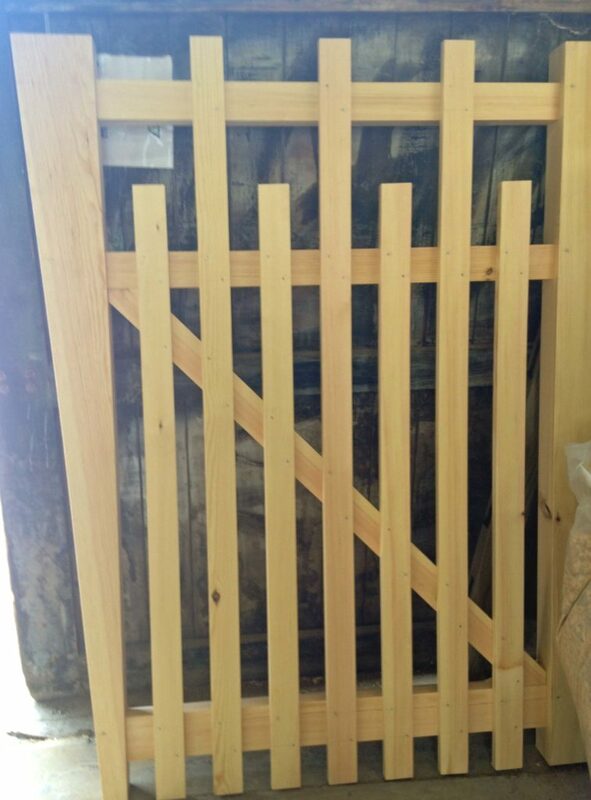 We have also made a gate for an opening that was wider at the top than at the bottom and the client specifically wanted the gate to be shaped to fit the gap (excuse the slightly grainy photo!). 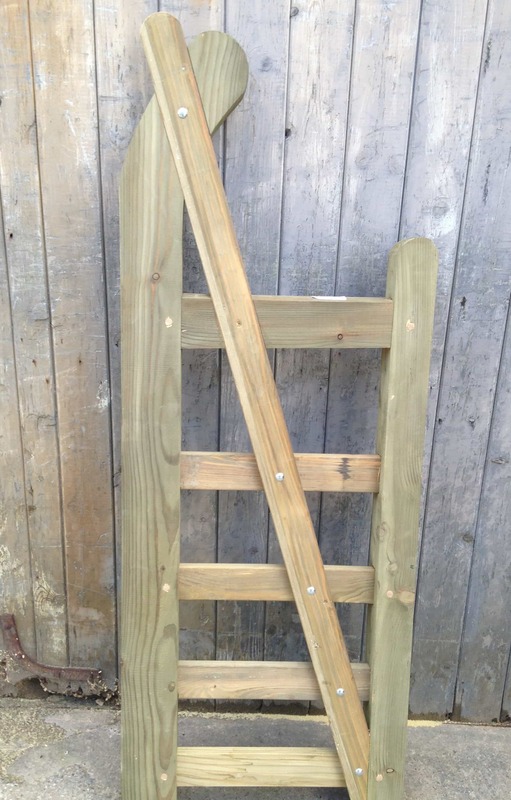 Have a look at some of the other bespoke gates we have made by clicking here.